For those of you who long for a public toilet and maybe a café on our recreation Ground, things might just be on the up! Alan Jones, Town Clerk for Horley Town Council told the Surrey Mirror “We are very much I the exploratory stage. Its an idea and we are just gathering information“. Local residents and followers our our Horleytown Facebook page have voiced concerns about vandalism but the general feeling is one of jubilation that its even being discussed with potential operators. “This is the first step, to find out if anyone is interested in running a café and after that its whether the Council will agree to having a café or whatever it might be there” he continued. So what do you think ? Are you a regular visitor to the park and would you stop off for a coffee and a bun on your way through? 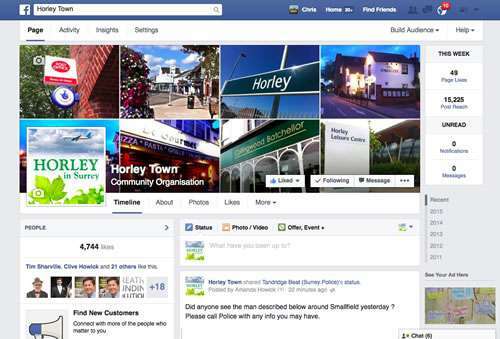 Let us know what you think, there is a huge post on our HorleyTown Facebook page! “Yes a cafe would be great” “Absolutely…its really needed” “!Yes Yes Yes ! !